The Louisville Zoo Black-Footed Ferret Conservation Center welcomes the first newborn ferrets of the 2016 season. This blog will follow these kits as they journey from birth at The Louisville Zoo to release into the wild. 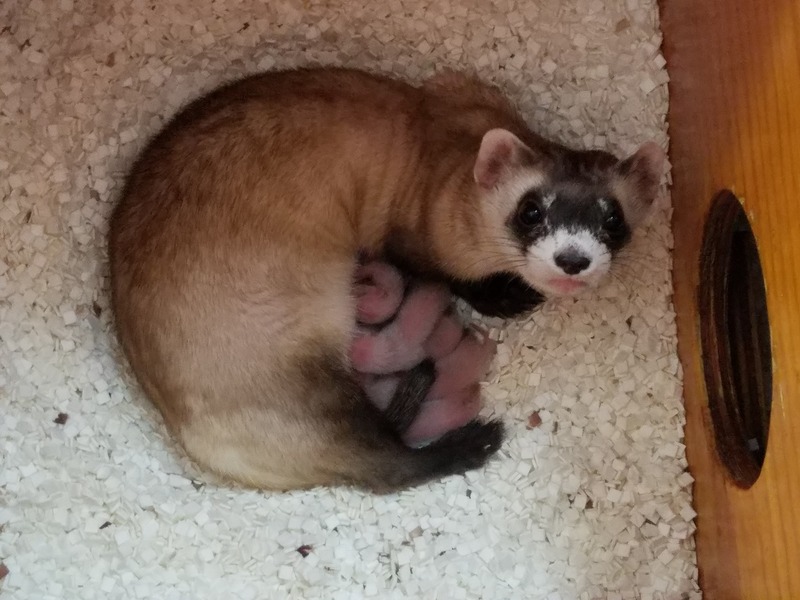 We will give you more information about black-footed ferrets, what the Zoo is doing to help this species, and (of course) some very cute baby pictures. Behind the scenes, the Louisville Zoo is a world leader in the conservation of several endangered species, including the black-footed ferret. For the past 25 years, The Louisville Zoo has successfully worked to reintroduce over 600 of these animals to the remnant wild. Black-footed ferrets are a member of the weasel family native to the North American prairie. After over a century of human encroachment, the black-footed ferret was thought to be extinct in 1979. When a small group of 18 animals were rediscovered in Wyoming in 1981, an intensive effort to keep this species alive commenced. These kits will soon be on the adventure of a lifetime. By this fall, they will be nearly full grown and ready to be released into the remnant wild as a part of a collaborative effort between The Louisville Zoo, the Association of Zoos and Aquariums, and US Fish and Wildlife Service. Black-footed ferrets are currently not on exhibit at the Louisville Zoo. They are kept behind the scenes in the Conservation Center. So, follow along with our blog as we take you along for the behind-the-scenes adventures of these young black-footed ferrets!